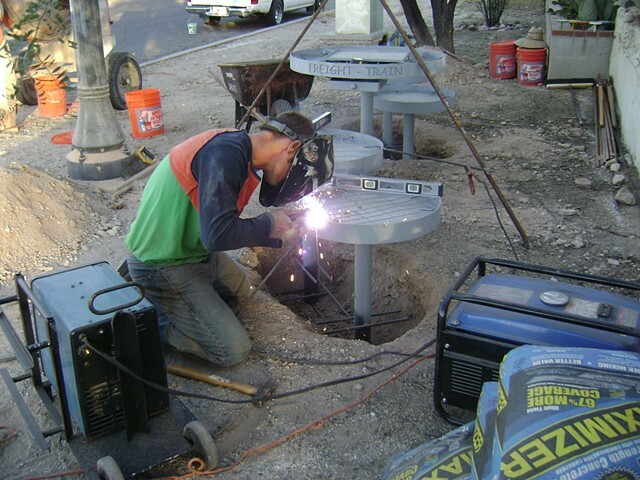 Here he is field welding on the Dunbar Spring Project. This little welder is hot enough to weld large jobs yet portable enough to roll around your yard. Here it is running off of a generator.